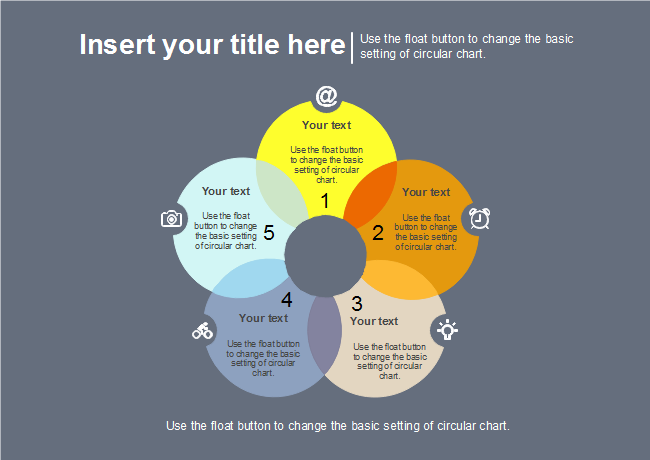 Description: The 5-set Venn diagram with dark gray background is in the shape of a lovely flower. Free download Edraw and easily edit this design for your own taste. You can create amazing design even with no drawing skills.